Connect your Xero account and you’ll be able to import contacts like most of our other integrations. 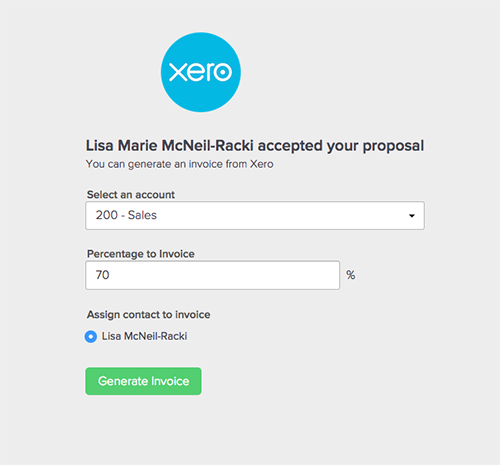 But here’s the really cool part: You can specify a percentage of your proposal to invoice your client! Here’s how it works. When your client accepts a proposal you’ll be asked to generate an invoice - it won’t do it automatically. 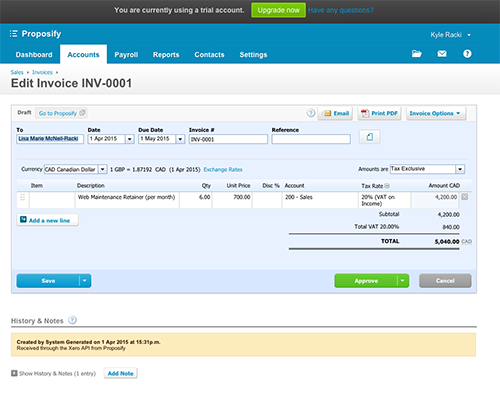 You can also see a Xero button in the snapshot view when your proposal is accepted. From here, you choose an account from your list in Xero, and a percentage of the budget to invoice. 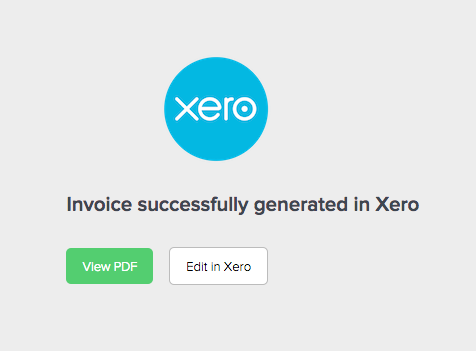 Once your invoice is created you can view a PDF or link right to the invoice in Xero so you can adjust and send it!